Fresh and uplifting, sweet and clear – just like a fresh Grapefruit should be. 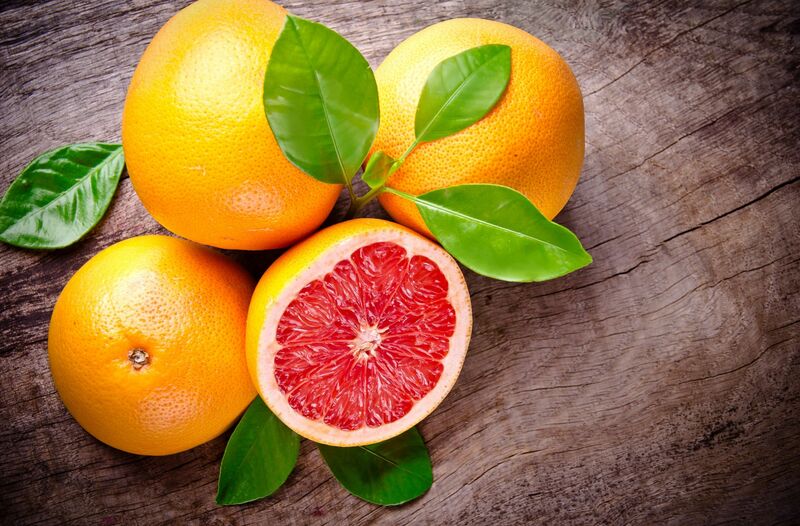 Our Pink Grapefruit is organic and cold pressed from the rind. Sweet, fresh, and uplifting, the aroma is said to bring about happiness and joy. It also aids with focus and energy. It is cleansing, cooling, decongestant and good for the liver and lymphatic system. Like other citrus essential oils, it’s high in d-limonene, a powerful antioxidant known for its effects on cancer and stimulating the immune system. Our grapefruit essential oil also has unique fat dissolving and appetite suppressing properties. We like to put a few drops in our water to enhance flavor, curb appetite and feel great or keep a bottle in our purse to sniff when needed – a perfect addition to a weight loss or wellness plan. It also goes great in a cellulite busting massage oil blend. Grapefruit’s cleansing and astringent action can brighten the skin and help clear up blemishes making it a perfect addition to a toner, cleanser or mask. Warnings: photosensitizing, limit exposure to sun 24 hours after topical skin applications. May interact with some pharmaceutical drugs – anyone taking a medication which requires them to avoid citrus or specifically grapefruit juice should also avoid the essential oil.